Your child can join my Khan Academy Class to practice math at home. Practicing for at least 25 minutes each week will replace the math practice homework sheet. 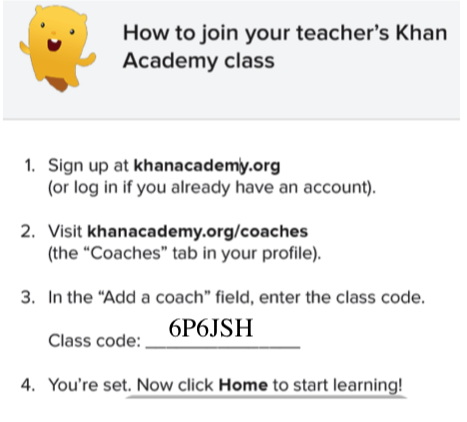 To join my class, you'll need to register for an account at khanacademy.org. Once you register, you have to add my class code (6P6JSH) to the "Add a coach" field.